The Four Circles Recovery Center is a behavioral healthcare center situated in Horse shoe, a small town 15 minutes away from Asheville, North Carolina. Their treatment programs are developed by a team of qualified professionals. Nestled amongst picturesque and tranquil mountains, they offer rehabilitation facilities to young adult substance abuse victims aged 18 to 28. Their treatment programs are innovative in their design. 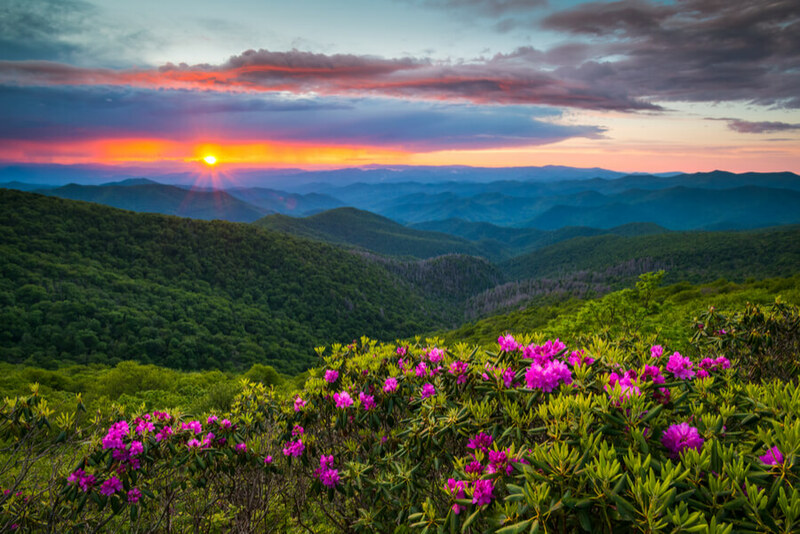 They combine a clinical program comprising of traditional residential therapies with an adventure therapy that requires patients to go camping in the nearby Blue Ridge Mountains. This enables patients to become self-reliant and helps develop community skills. Four Circles accepts both male and female clients into their residential inpatient program. They have a minimum mandatory commitment of at least 60 days inpatient stay at the facility. Provisions are available for patients who require it and can afford it to be accommodated at the center for a 5 month period. The location of the facility in a small town surrounded by peaceful mountains offers residents with scenic views comprising of ponds, endless clear blue skies, and beautiful wooded surroundings. The campus gives off the air of a gateway camp removed from the bustle of real life. The relaxed ambiance ensures that clients can recover at their own unhurried pace without any external worries hindering the process. The facility has wooden residential houses each with a capacity for housing a maximum of 18 patients at a time. Male and female patients are housed in separate residential quarters. Each bedroom offers a lot of space and is shared between 3-4 residents. These rooms are furnished with single beds with space underneath for residents to stash away their belongings. The campus also has a variety of recreational options including a TV in the living room that hosts a movie night once every week. A gym equipped with weights and other exercising machines is available. The homes also come with laundry rooms and fully stocked kitchens that clients can use to cook up nutritious meals. The campus offers hiking trails and ropes courses for patients to remain physically fit throughout their stay at the facility. The Treatment Center provides a range of gender-specific experiential programs to best combat substance abuse. The team at Four Circles recognizes that chemical dependency often develops due to underlying mental disorders. In keeping with this viewpoint, they offer a dual diagnosis for co-occurring mental disorders. The Four Circles Center charges $32,000 for a residential program lasting 60 days. They work closely with their clients to explore various payment options that best suit the clients. The center accepts both self-pay and a variety of private insurances. The facility offers a range of highly specialized treatment programs that are designed to better engage the interests of its young adult clientele. They aim to inculcate discipline and self-reliance through rigorous physical activity. As such, their therapies and programs incorporate new and innovative methods such as recreational therapies and wildlife therapy. The facility does not offer an outpatient program due to the unique makeup of the treatments and therapies offered at the facility. But, they offer a great gateway option for young adults struggling with sobriety issues. Its location surrounded by lakes and mountains combined with its incorporation of this setting into its treatment programs through the wilderness therapy allows residents to heal in the lap of nature. Shane Applegate is a Certified Arise Interventionist and has extensive experience in the field of behavioral healthcare. He has been Chief Executive Officer at Four Circles since July 2015. He has a Bachelor degree in public relations and print journalism from Kansas State University. Josh King is a master wilderness guide at Four Circles. He has extensive experience in the wilderness industry as a river guide, backpacker, naturalist, mountain biker, and student of botany. At the Center, he serves as the Plant Operations Manager and supervises horticulture therapy sessions. Apart from holding a bachelor degree in English and psychology, he is also a trained Wilderness First Responder, Wilderness Lifeguard, and Canoe Instructor. Wendy Kimball has over 15 years of experience in clinical business development. She has a demonstrated history of providing individual and family counseling, as well as overseeing workshops and crisis response teams. She has a Bachelor degree in psychology from Davidson College and a Masters in Counseling from the College of William & Mary.